Stockings aren’t just for feet. – Where Is My Teaspoon? Stockings aren’t just for feet. 1. Measuring Spoons: I think these are quite possibly the best thing any baker could get for Christmas. Yeah, they are spoons. There’s no denying that the person will tell people you bought them..spoons, but they will use them every single time they bake. Also, you can get really sweet ones these days. I have a lovely set and I think they were only €6 – perfect for Kris-Kringle. 2. Piping Bag: This is something every baker should have, but many don’t so I think it would make a lovely gift for someone you know who bakes. If you go to kitchen shops you can buy all sorts of nozzles and tops for bags, but if you want an easy gift to give (and wrap!) simply buy a kit in a box. You can even pick these up in grocery stores these days as baking is becoming more and more popular. My kit( given to me by my favourite) has many different nozzles and can be washed and reused over and over again. 4. Electric Hand Mixer: This one is a no-brainer. I got mine for €20 and have easily used it hundreds upon hundreds of times. Yes it is a very practical gift but, trust me, it’ll be used and appreciated. Let no one whip cream by hand again. 5. Cake Stand: You can get some really, really pretty cake stands around the place. Have a gawk around TK Maxx and see what you can come up with. A cake stand really changes how a cake is presented but, again it’s often something a baker may not have. 6.Cookie Cutters: Right, don’t think childish here. Biscuit cutters are used a lot when baking at home and many people would really love to get some unusual shapes as gifts. Buying mix-match ones is a good idea because if offers variety. Also, sometimes I think a cutter can inspire a new recipe idea, so why not? They would be perfect for a stocking, and I use mine as tree decorations as well. 7. Pie Dish: I was going to say cake tins but they are very hard to make glamorous. A pie dish, however, is always chic in my opinion. There are so many different types you can get. I recently got a lovely Jamie Oliver one in TK Maxx for €9? It has portion lines saying things like “greedy guts”. It is extra lovely for someone, like me, who loves Jamie Oliver. 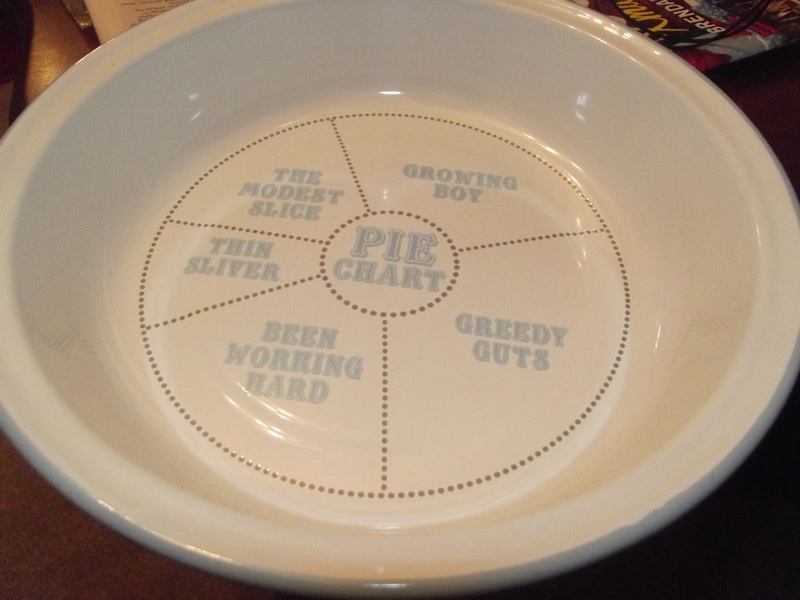 I also have a rectangular pie dish from him that says Oh My What A Pie – too cute. 8. Palette Knife: Again, we’re thinking stocking filler or Kris-Kringle here. This is probably not something to buy for the main event (mind you, I got one for my 21st!). This will be used and loved. Your baker might already have one, but you can get them in various sizes so it would never go to waste. 9.Electronic Weighing Scales: This is a lovely gift for a baker to get. Practical, needed and definitely would be appreciated. Many people might just have the old style scales – myself included – and , while these work perfectly fine, for certain recipes it’s better to be perfectly exact. 10.Mason Jars: These are one of my favourite things in the world. I just love them. 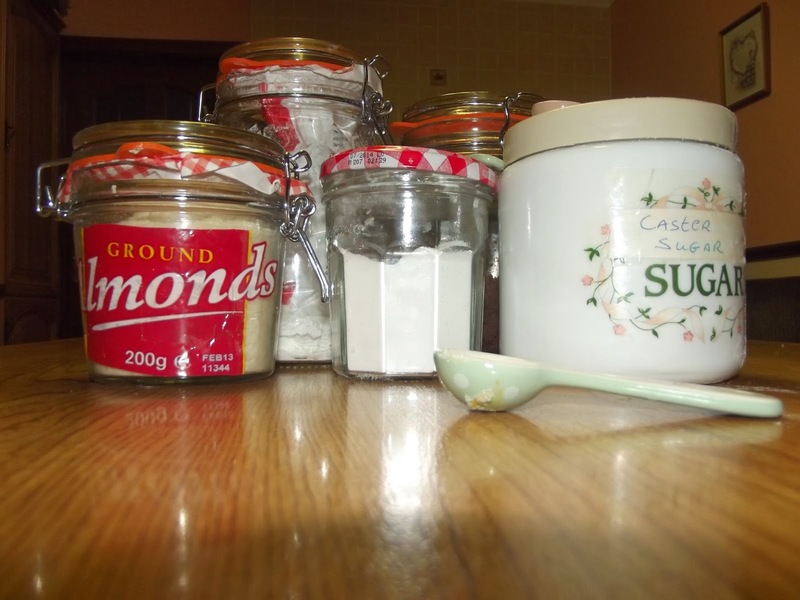 No one wants bags and bags of sugar in their presses, it is much better to have a jar for everything and top them up when they run low. It makes your baking cupboard tidier and prettier. You could also buy pretty labels so your person could hand-write what’s in each jar on them. Once you get used to using the jars, you’ll start using jam jars and anything with a lid you can. Only a few days left – get out and get all your presents bought..before these winds blow you away! Next Post All I want to do is roll over.